It’s Halloween, but there’s no need to be spooked This edition of the Monthly Mash is packed with lots of valuable treats and absolutely no tricks. Hard to believe that our 6th Annual Distillers’ Convention & Vendor Trade Show is a little over three months away. If you still haven’t committed to attending, we give you 6 good reason why you should be in Minneapolis for “Craft on Ice,” February 10-12. And you don’t want to miss out on the special early bird registrations rates, which expire at 11:59 p.m. on Halloween night! It’s your last chance to save before the regular rates kick in. There’s something else you should put on your calendar for October 31 (tomorrow, if you’re reading this soon after it arrives in your inbox). Andrei Prida, research and development manager at Seguin Moreau will be sharing the details of his experiments with different woods and aging techniques in a webinar at 3 p.m. Eastern Time. Registration details are below. It’s no surprise to any of you that these are exciting times for craft spirits. We’re curious to hear your thoughts on what’s making them so exciting. Please share your insights in this month’s poll. I can tell you that part of the excitement is coming from across the pond, as our members open new markets across Europe and other regions. 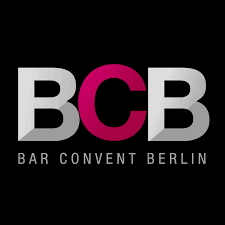 Read about some of their experiences connecting with international buyers in our coverage of Bar Convent Berlin earlier this month. There’s so much more to peruse in this issue, so I’ll leave you all to it. 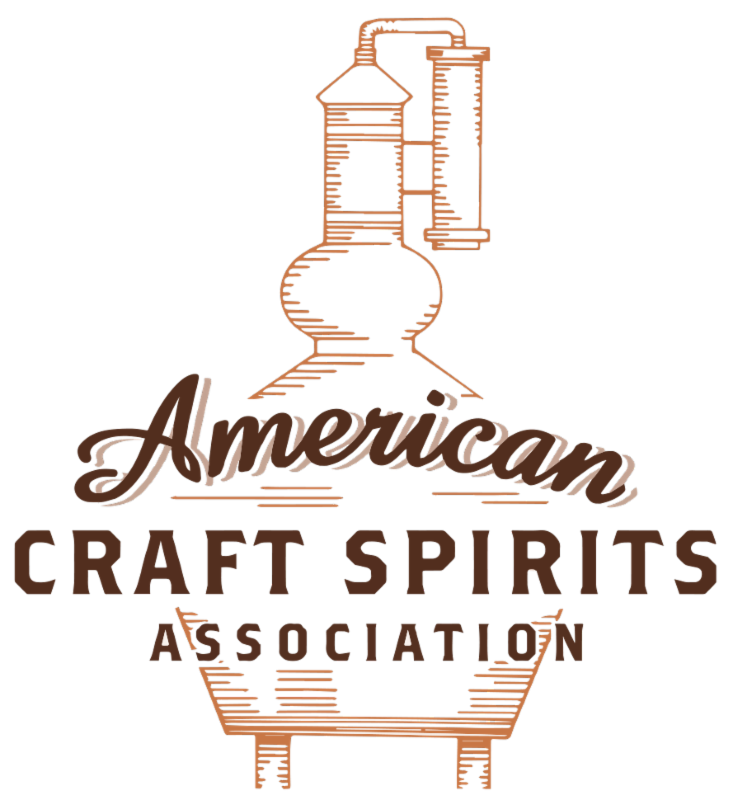 But before I do I want to express my gratitude for everyone involved with the ACSA Judging of Craft Spirits last week. First I want to thank Greenbar Distillery for generously hosting the event and providing a temporary home for the nearly 500 spirits that the judges evaluated. (Read more about Greenbar in this month’s Q&A with co-founder Melkon Khosrovian). 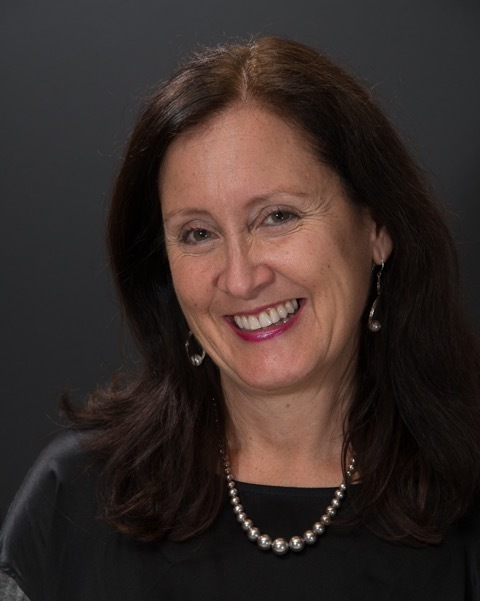 And, special thanks to ACSA Vice President Maggie Campbell of Privateer Rum, who served as Spirits Judging Chair. It truly was a colossal undertaking, in affiliation with Artisan Spirit Magazine. And, of course, I want to give a shoutout to all of the judges and the support staff (including Cardinal Spirits and Corsair Distilleries) who made last week’s judging event go as smoothly as possible. We’re looking forward to announcing all of the medalists in Minneapolis in February. Join fellow producers and other industry experts for the largest gathering of licensed craft spirits producers in the U.S. Register now to take advantage of our early-bird registration rates and discount room block! We’ll be in Minneapolis, MN February 10-12th with some cool pre-convention programs planned. Here are 6 reasons why you’re not going to want to miss ACSA’s 6th Annual Distillers’ Convention & Vendor Trade Show. 1. 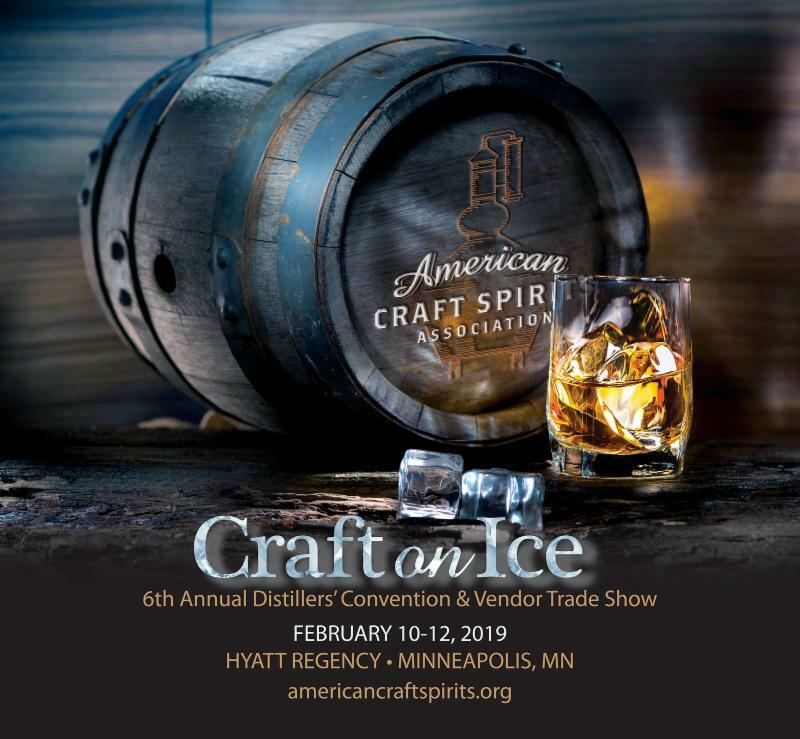 There’s no better opportunity to network with hundreds of your craft distilling peers and see the latest cutting-edge products and services from leading industry suppliers—during expanded trade show hours—all under one roof. 2. The education program offers nearly 50 hours of expert insight on distillery finance, safety, regulatory compliance, marketing and spirits production techniques. 3. You’ll get a chance to tour some of Minnesota’s world-class craft distilleries before the Convention officially kicks off: The Dampfwerk Distillery Company, J. Carver Distillery, Tattersall Distilling, 11 Wells Spirits and DuNord Craft Spirits. The tour bus also will be dropping by grain and ingredients supplier Brewers Supply Group (BSG). The tour is a separate ticketed event and you can register here. 4. Where else are you going to get to play ice hockey with your fellow craft spirits producers—for free? You’ll just need to bring your own gear and register here for this one-of-a-kind, co-ed event! 5. Speaking of hockey, we’ve arranged an outing to watch the NHL’s Minnesota Wild face off against the Philadelphia Flyers on the final evening of the Convention. Tickets are available for purchase on the main Convention registration page. 6. Sample the finest spirits that the Land of 10,000 Lakes has to offer at the Minnesota Toast on the final evening of the convention. Don’t miss the opportunity to take advantage of the early-bird registration rates for the 6th Annual Convention & Vendor Trade Show, set to expire tomorrow, October 31, 2018. The early bird rate for distillery members is $595 plus $395 for any additional attendees from your company you wish to register. For non-members those rates are $795 and $595. And don’t forget to book your room now to take advantage of the exclusive discount rate of $119/night. Vendor Booth Space Is Selling Out Fast! There’s still some booth space available for ACSA’s 6th Annual Distillers’ Convention & Vendor Trade Show, but it’s selling fast. Reserve your booth now to ensure that your company’s products and/or services will be able to be front and center before a gathering of craft spirits producers from across the country. We offer 8’x10′ single booths and 8’x20′ double booths where suppliers to the industry can showcase their products, services and solutions before a gathering of craft spirits producers from across the country. There are multiple ACSA Convention & Vendor Trade Show sponsorship opportunities still available to suit a wide range of marketing budgets. A sponsorship is an excellent opportunity to amplify your presence and further establish your credibility as a thought leader in the craft spirits industry, enhance your brand image and industry position, build new relationships with prospective customers and strengthen relationships with existing ones and expand your business opportunities. As a new benefit this year, we’re offering sponsors the opportunity showcase your products & services in sponsor-led live “TED Talks.” Those opportunities are limited to top-dollar sponsors. Come out from behind the booth to see and hear how your competitors position their products & services in an interactive sponsors-only program. We can customize a package and work with you to maximum exposure and return on your investment. 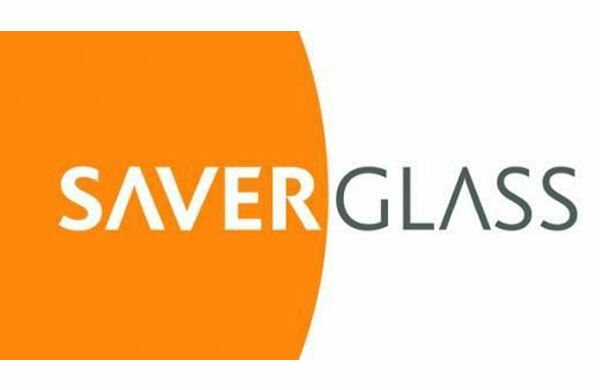 Join us for our next webinar, which will explore the extraction of wood compounds during different aging scenarios. Presenter Andrei Prida, research and development manager for Seguin Moreau, will discuss the dynamics of aging spirits in barrels, as well as methods involving wood pieces. The webinar is scheduled for TOMORROW, October 31, 3 p.m.-4 p.m. Eastern time. Aging of spirits in barrels is an integral step in their production. The regular producers use traditional shapes for this process such as 350L barrels for Cognac or 53 gallon barrels for bourbon. The craft distilleries find smaller barrels more suitable for maturation. Finally, barrel alternatives such as staves, chips, powders and inserts are continuing to become integrated into the everyday practice of the spirits industry. 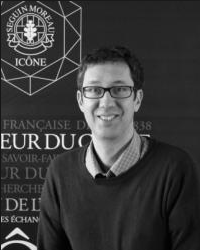 In this webinar presentation Seguin Moreau measured the extraction rates and speeds of different wood compounds during aging in regular, small barrels and in contact with wood pieces. This information is of practical importance for cellar masters and technical staff, who wish to optimize the sensory properties of aged spirits and to use wood barrels and alternatives in rational way. Working since 2006 for Seguin Moreau as Research and Development Manager, Andrei previously worked as a Chemist, Enologist and also as Superior Lector at Technical University of Moldova. Andrei holds a PhD in Chemical characteristics of oak (INRA Montpellier) and a Post-doc with Study of polyphenols (Miami University, USA). His main missions at Seguin Moreau involve the development of new products (barrels and alternative oak products). He coordinates collaborative work with Bordeaux University and other research centers. He manages internal laboratory and deals with quality control analysis and trials. Finally, he brings technical support to Seguin Moreau teams all over the world. 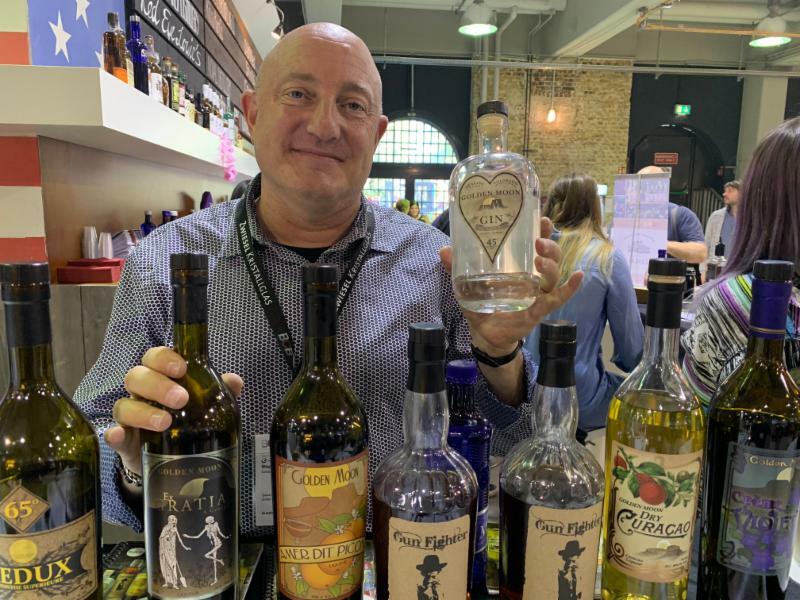 American craft spirits producers have been playing an increasingly prominent role at Europe’s largest bar business trade show, Bar Convent Berlin (BCB), especially as distillers look overseas for new markets in which to grow their distribution footprints. But there was an added wrinkle this year, with the specter of the Trump Administration’s international trade tariffs looming over participants. Still, Gould has been making a strong push in Germany and throughout Europe. Even though BCB is a European show, Golden Moon connected with a number of buyers from North America. The contacts Gould made extend well beyond buyers and bartenders. 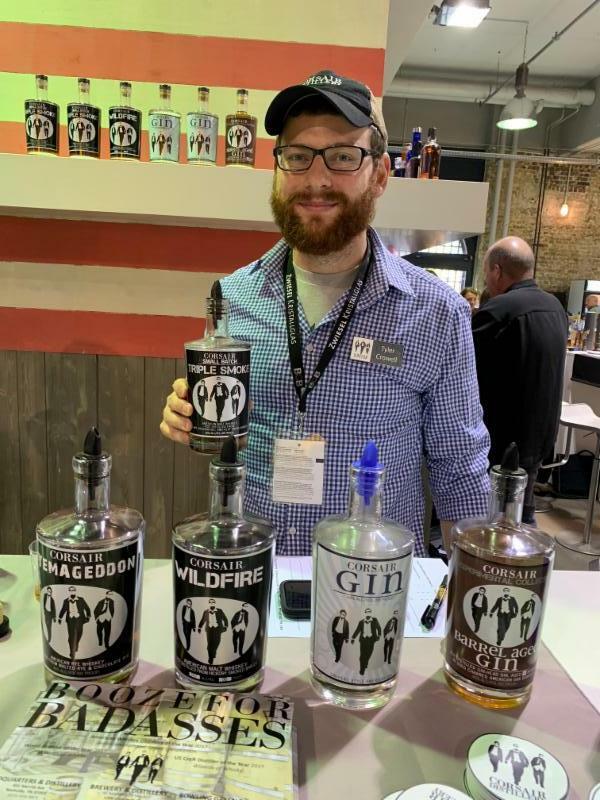 Some of the other distilleries showcasing their products at BCB included House Spirits (Portland, Oregon), Koval (Chicago), Catoctin Creek (Purcellville, Virginia) and Corsair (Nashville, Tennessee), Alpine Distilling (Park City, Utah) and Traverse City Whiskey Co. (Traverse City, Michigan). Harris notes that her interactions with potential buyers have been positive. 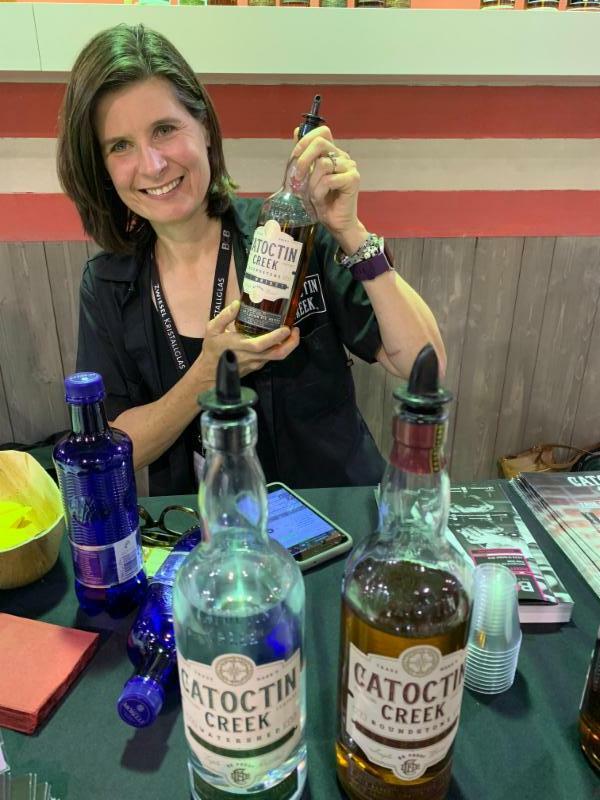 Catoctin Creek currently is available in Germany and Italy and Harris says the company may add three or four additional countries in the next year. “You have to really come here to be able to export here,” says Piper Underbrink (pictured, right), who leads sales and distribution efforts for Alpine Distilling. “You have to meet face to face, with distributors and sales reps, not only for tastings, because it’s not super cost-effective to ship product to them just for tasting, but also because that face-to-face interaction with someone is what makes the relationship work or not work. BCB also has provided Alpine to learn from European distillers, to see what’s working for them and what’s trending. 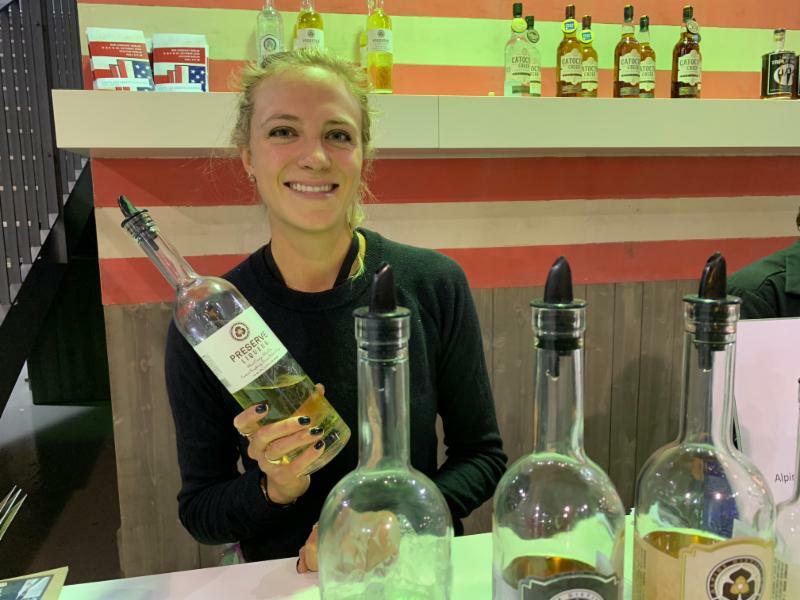 Alpine has a number of liqueurs in its portfolio and European producers have always been strong in the liqueurs category. Corsair Distillery’s European distribution also is limited to Germany, but COO Tyler Crowell says he hopes to expand its presence on the continent. What is the No. 1 driver behind the growth of craft spirits? The Hoosier State has a long and storied distilling history and its spirits-making activity has been accelerating in recent years with an eclectic array of craft producers. The Huber family has been growing fruit and producing fine beverages since the mid-19th century. In addition to its winery and vineyards, the family operates Huber’s Starlight Distillery in the town of Starlight, producing grape, apple and peach brandies inspired by those of their ancestors, as well as a line of liqueurs, bourbon, rye, 1794 Gin, Barrel Finished Gin, Silver and Spiced Rum and a Vodka distilled seven times from locally grown corn. Cedar Creek Winery and Brewery in Martinsville became a triple threat last year when it opened Cedar Creek Distillery. Rum is the main event for Cedar Creek, producing Pirate’s Cove White Rum and Island Spice spiced rum, as well as a barrel-aged offering. Grains are also part of the fun, with the distillery’s Artesian Water Moonshine, as well as a rye whiskey that’s due to be ready before year’s end. Spirits of French Lick in West Baden Springs is another distillery with winery origins. Since distilling operations commenced in 2016, Spirits of French Lick has produced a diverse array of products, including Aquavit, Old Tom Gin, Absinthe Le Blue, Blackberry Eau-de-vie, SonRoho Immature Brandy, Vodka, White Bourbon Whisky and Stamper’s Creek Rum. The distillery also soon will launch a line of liqueurs. In Bloomington, the Cardinal Spirits gin game is strong with Standard Dry Gin and Terra Botanical Gin—the latter of which was designed to capture the wild, outdoorsy freshness of Indiana woodlands. Cardinal also crafts a Vodka from white grapes, Lake House Spiced Rum, Tiki Rum and a number of diverse liqueurs. The distillery also launched a series of canned Mule cocktails. Three Rivers Distilling Co. prides itself on sourcing its grains from within 30 miles of its Fort Wayne distillery. 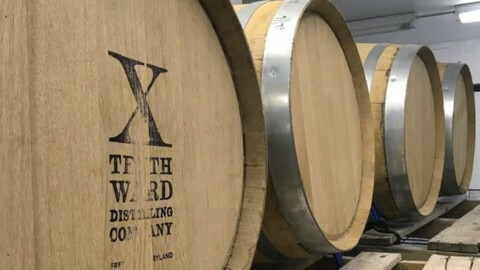 The distillery also sources the coffee for its coffee liqueur from a Fort Wayne roaster and its barrels from a cooperage based in the city. What’s more, its ingredients are organic and non-GMO. In addition to the aforementioned liqueur, Three Rivers Distilling Co.’s portfolio includes Harvester Vodka, River City Rum, Summit City Gin, Wheated Bourbon, Frankly B. Rye Whiskey and 122 Unaged Corn Whiskey. West Fork Whiskey in Indianapolis is another grain-to-glass operation using 100 percent Indiana-grown ingredients. Those ingredients provide the base for products like 2 Hour Delay unaged corn whiskey, All or Nothing 100 percent corn whiskey aged in used bourbon barrels, wheat-heavy The Colonel bourbon, the rye-forward B-Street Blues Bourbon and 3rd Degree cinnamon-flavored whiskey. West Fork recently announced plans for an expansion. Indianapolis is also home to a growing number of world-class cocktail bars. There’s the requisite speakeasy in the form of Wiseguy Lounge (hidden in the back of Goodfellas Pizza), the craft-spirits-and-classic-cocktail-focused Libertine Liquor Bar and the craft-and-classic-mixology mecca The Ball & Biscuit—which also showcases an eclectic array of small plates made from locally sourced ingredients. It’s a quandary shared by adventurous and indecisive drinkers alike: What should I drink tonight? 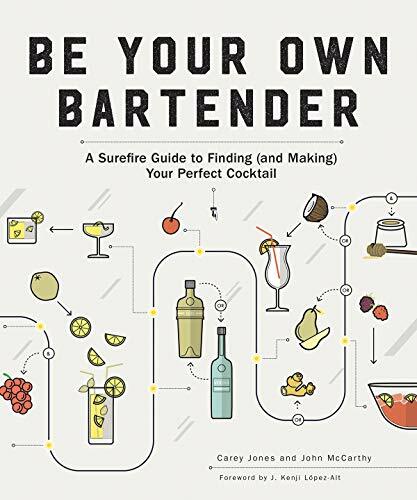 Here to answer that question is Be Your Own Bartender by Carey Jones and John McCarthy. Through more than a dozen interactive flowcharts, the book poses a series of questions designed to lead readers to their ideal drink. With more than 151 original recipes, there’s a cocktail for every mood, taste, and occasion. Divided into chapters by spirit—with bonus flowcharts for brunch drinks, holiday parties and true cocktail nerds—Be Your Own Bartender is the best way to discover the perfect cocktail for you, in a journey as user-friendly as it is fun. A nightcap is the perfect way to end the night, and author Kara Newman knows just how to make them. This gifty, foil-accented book contains more than 40 cocktail recipes—some to keep the night going, some that will help ease you to sleep, some that can double as dessert, and some that can soothe the stomach after a hearty meal. There are classics like the sweet and creamy Brandy Alexander, new takes on old favorites like the Black Manhattan, which swaps an aperitif for the classic vermouth, and simple new ideas like the Open & Shut, which combines equal parts amaro and cognac for a slow sipper. 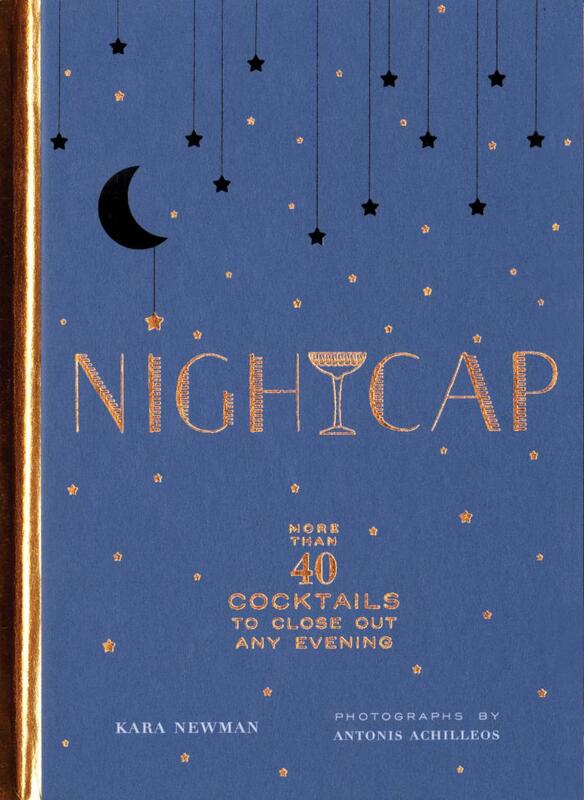 Whatever kind of night it’s been, Nightcap is the perfect way to top it off. 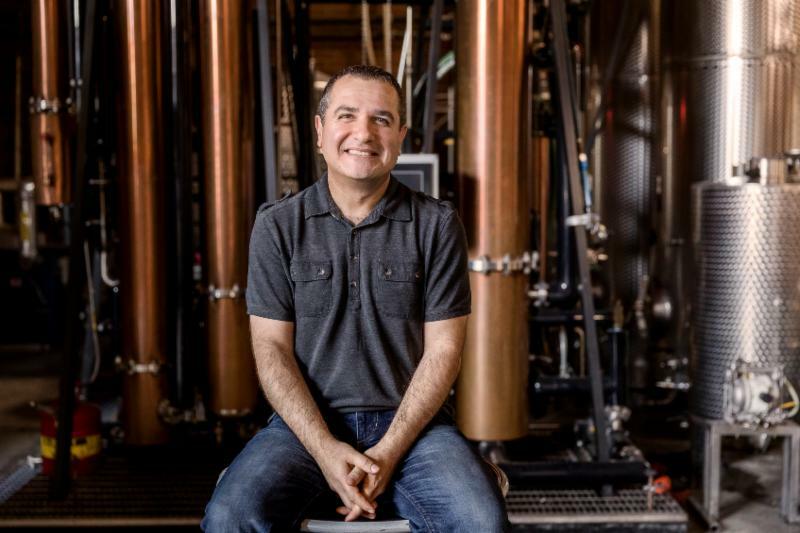 This month we catch up with ACSA Board of Directors member Melkon Khosrovian, co-founder of Greenbar Distillery in Los Angeles. 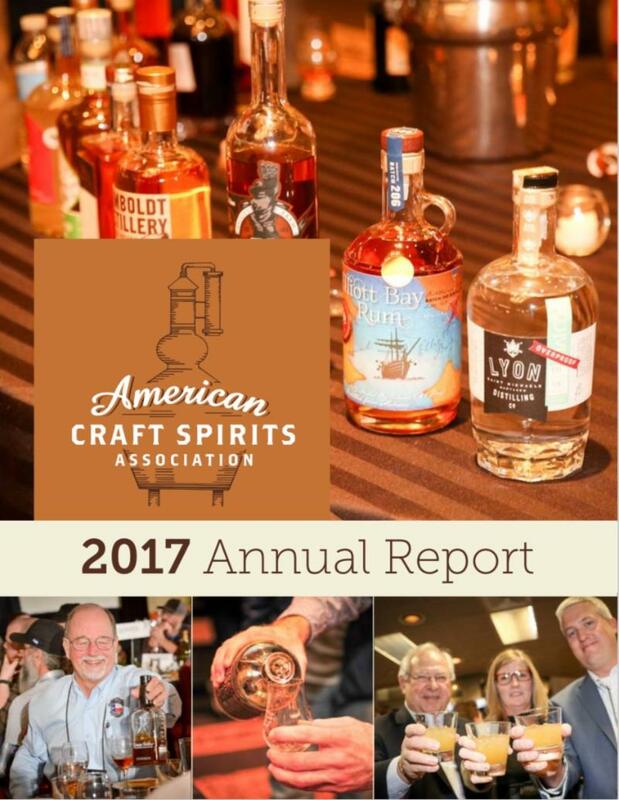 Greenbar hosted the ACSA’s annual Judging of Craft Spirits last week. I was tricked into joining by an old friend, Tom Mooney. We’re overdue for a contraction in the craft distilling space—similar to craft beer in the ’90s. The number of distilleries and their offerings are exploding at the same time that the number of spirits distributors and retailers are shrinking. Tasting room income and the FET reduction have given our members some room to breathe but that’s not going to keep all of us going forever. Something has to give and I fear that that something will be many of our members’ livelihoods. My priority for the board is to prepare the craft distilling community as best as possible for this coming challenge. Helping our community to prosper makes the most sense to me. For new members, this encompasses avoiding dumb and dangerous mistakes. For the more seasoned folk, working through growth issues. We’re a community above all, so start making friends and spending quality time with your peers. The interactions made possible by ACSA through conferences, seminars and judgings, among others, give all members a number of ways to get involved. Of course, there’s also volunteering to help run the joint! Approachable innovation is on top of my list. Everyone from the trade to the public wants something different…but not too weird. In many ways, I feel that this is one of our core obligations to our customers—to push the envelope a bit and paint a landscape with flavor and aroma that no one has ever seen. How do you see the market for organic spirits evolving? It’s definitely growing by leaps and bounds, driven partly by more affordable and available ingredients and partly by public interest. At the same time, I think that some producers are ignoring the elephant in the room. While many pursue organics for its clean, healthy vibe, they gloss over one of its core benefits—quality. We didn’t start out making organic spirits in 2004 and only switched in 2008 because we could get more flavor and aroma out of organically grown ingredients. For Greenbar Distillery, organics is equal measures better flavor and a better planet. What are the challenges involved with producing organic products? We faced three main challenges—administration, selection and costs. First, when we took the distillery organic, for instance, we adopted the guidelines of Good Manufacturing Practices (GMT) to satisfy the requirements of USDA certification. That was fairly heavy lifting for us 10 years ago to build “big company” systems for tracking, operating and reporting. Second, not surprisingly, not every ingredient is available through an organic farm, which is sad sometimes when we want to use a particular wild crafted ingredient. But we’ve learned to be extra creative in producing unique flavor profiles by combining commonly available ingredients in uncommon ways. The final challenge, cost, is getting a bit less of a challenge. When we started, for instance, we were paying up to 50 percent more for organic ingredients. Today, because of their increasing popularity and our growing scale, the disparity is a little easier on our and our customers’ pocketbooks. What are the dynamics of the L.A. spirits market and how do they differ/compare with other cities? L.A. is a unique place to build a spirits brand. Its size, year-round access to fresh produce and ever-changing cultural landscape are exciting and inspiring, especially to non-traditionalists like us. At the same time, because the city attracts lots of new residents, we don’t have a strong sense of home-town pride and the de facto support for local fare that goes with it. This has forced us to try harder than we’d have to otherwise to become an interesting and useful brand—something that’s come in handy for us beyond L.A. 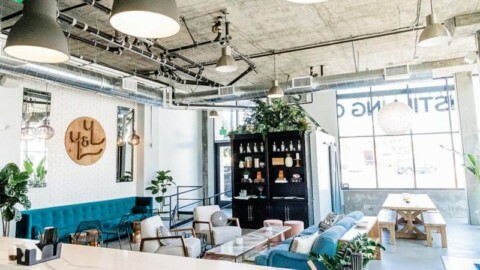 The city is also a fertile proving ground for spirits brands testing new ideas and spending heavily to see if they’ll bear fruit. We experience this as constant headwind and pricing pressure, which, in turn, has forced us to become a very efficient shop so we can offer our customers not only interesting and useful products but price them competitively. The TTB has issued 2,832 DSPs! Find the full list here. Halloween doesn’t have an official alcohol, but if there were one it would be slivovitz, the Eastern European plum brandy that appeared in Bram Stoker’s classic novel, “Dracula.” When Jonathan Harker was journeying to the bloodthirsty Count’s castle, he was told that there was a bottle of the spirit under his carriage seat if he required it for the ride. November begins this week and that means Thanksgiving is just a few short weeks away. Check out these cocktails that will help you get through Turkey Day—via Town & Country.